Well, we're finally seeing the results of all the hard work husband has been doing since September to inseminate the pigs... Oh, maybe that didn't come out right. What I mean is that all of the planning and breeding that took place earlier on the farm is starting to pay off with the birth of several litters of pigs. This litter of 13 piglets is two weeks old. 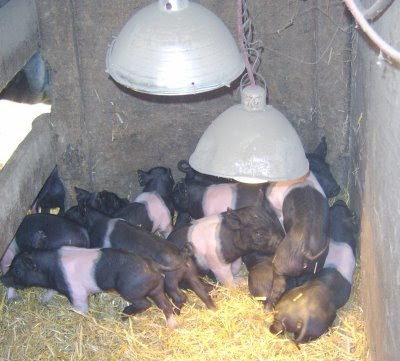 The little gilts (females) and boars (males) keep warm on cold Ohio nights under a heat lamp. You can see on the left that they can exit their little warm spot to nurse with the sow but are protected by the fence from accidental squishing by their mother. Hey, if you weighed 500 pounds and had 13 babies underfoot, you might accidentally step on one or two. 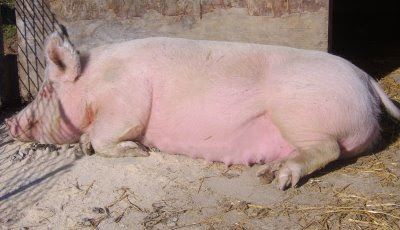 Like Miss, we have several sows who are ready to farrow (give birth) in the next few weeks. Husband claims this sow is 11 years old. He credits her with raising several of the pigs Ryan showed this summer and says she is the grandmother of many of our other good pigs. 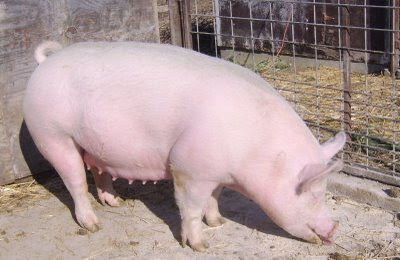 This younger sow is also due in early December. 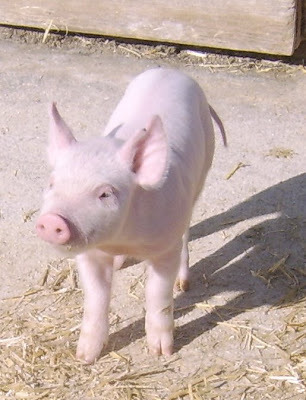 This little guy is actually from the first litter from our new piggy Daddy, Big Splash. 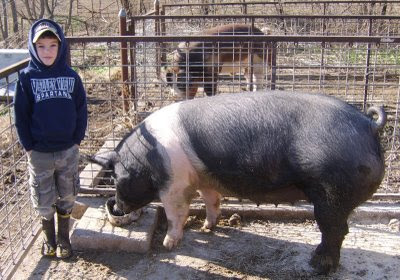 He and his siblings were outside enjoying the sunshine, looking forward to this summer at the State Fair. I've just got to say again, while LOTS of blogs can comment on brand disasters and family life, WHAT other blog can provide such fresh-from-the-farm cuteness?